We all get perplexed and confused around the time of our closest ones’ birthdays. These are the occasions when you surprise your friends and family members, celebrate and blow their candles with them. So we have to admit that a special gift is required for such a special person, and we have also to acknowledge that it is not a piece of cake to express your gratitude sometimes because words often fail us and do not convey the flow of the real, genuine feelings we feel towards this funny, kind, tender, and ludicrous friend or family member. 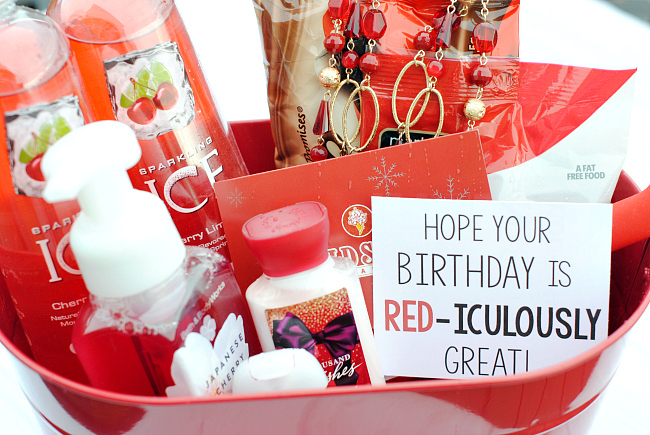 That is why Pouted presents 7 ideas for an odd birthday gift that talks about the solid bond you share with your loved ones. Everybody has their own passion and obsession towards odds and ends, including movies, albums and places they are looking forward to visiting. 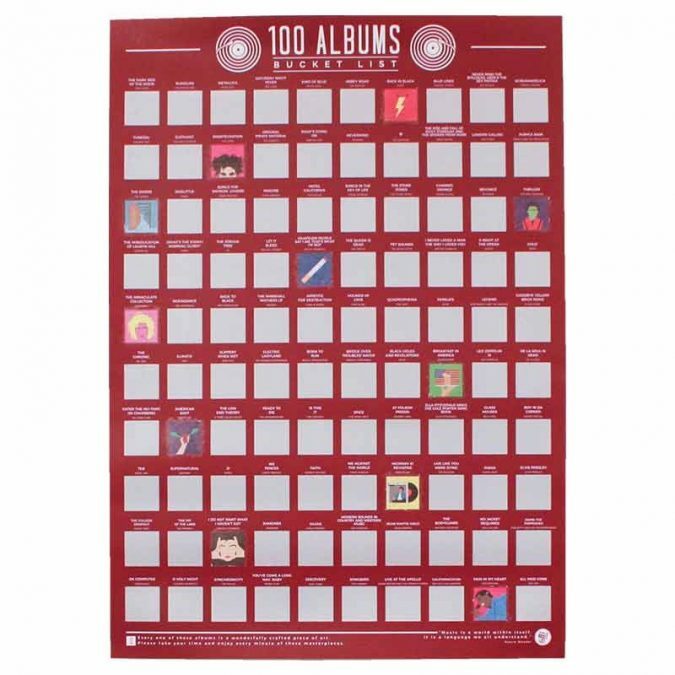 So have you ever thought of a gift that reminds your friends of the point at which they stand regarding the way they have to achieve their goals? 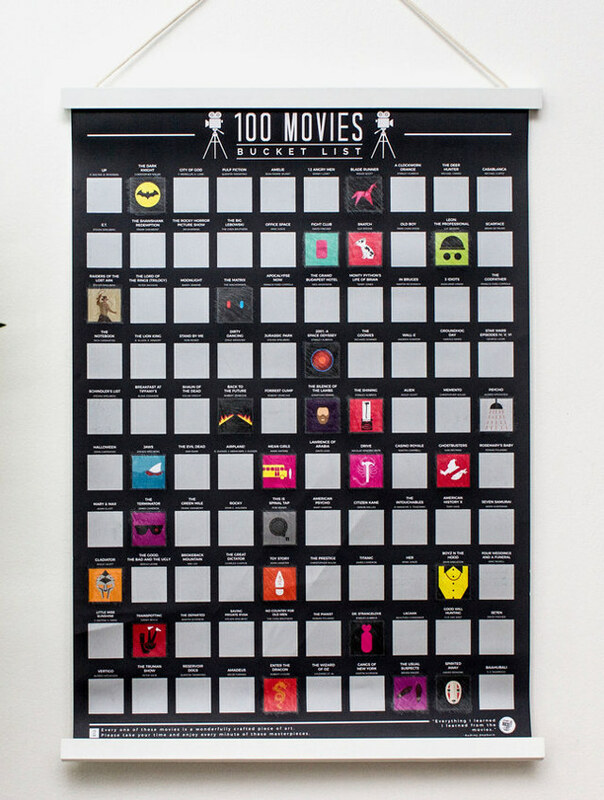 If they are fond of reading, watching movies, listening to albums and visiting places, and set one hundred items they want to check before they reach another and go one year older. 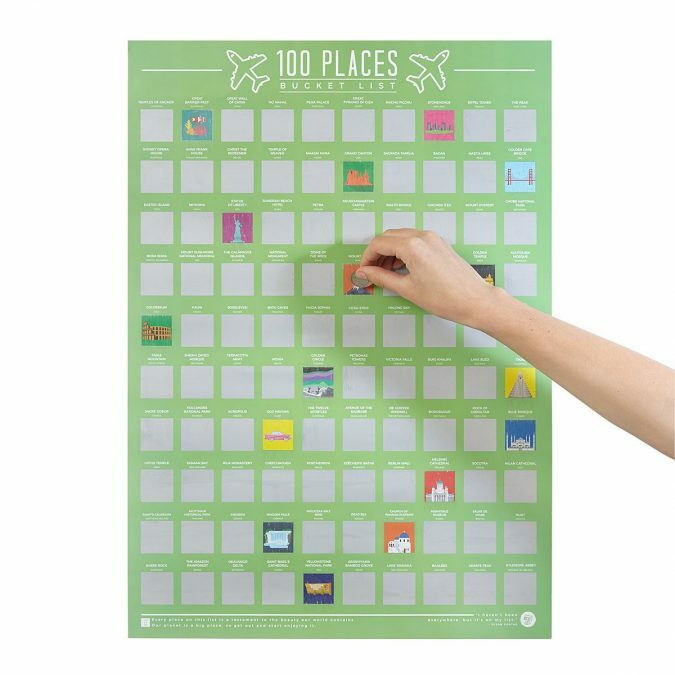 Then, the 100 Scratch Off Bucket List Poster is the right choice. 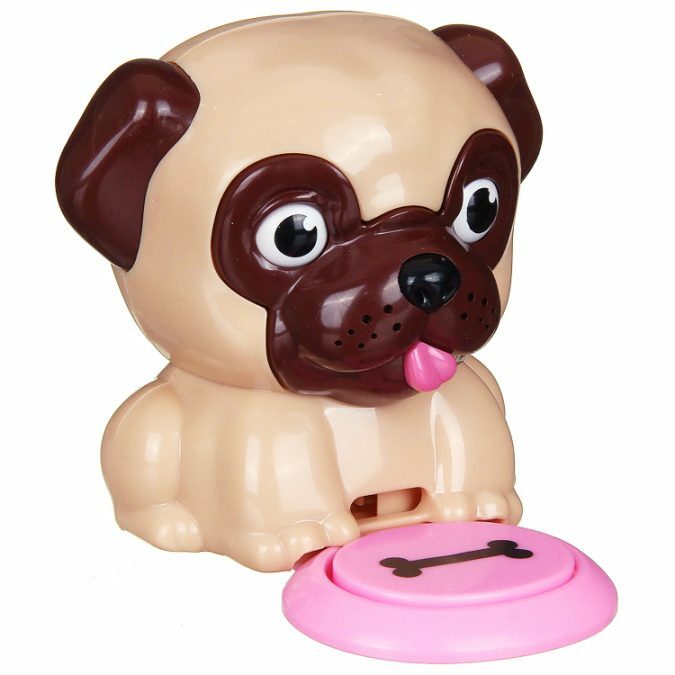 We all have this friend who pulls off funny and bizarre items and is an oddball, but we all find it cute and funny rather than creepy. They are the type of people who would flaunt a ludicrous item and look flawless, maybe they can move a step forward and become a trendsetter or a fashion icon. Hey, Lady Gaga, anyone? They are simply genuine like Wizard of Waverly Place’s Harper Finkle. 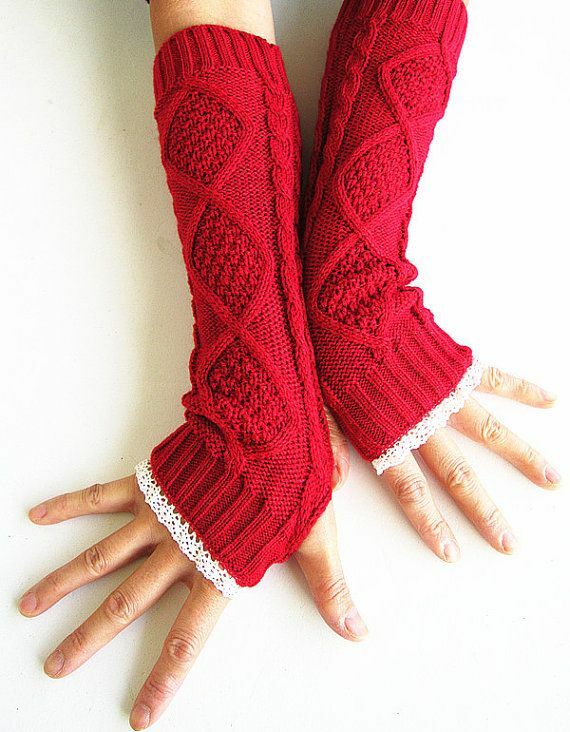 A gift like a pair of different brightly colored arm warmers is going top the charts if the best gift of the year. 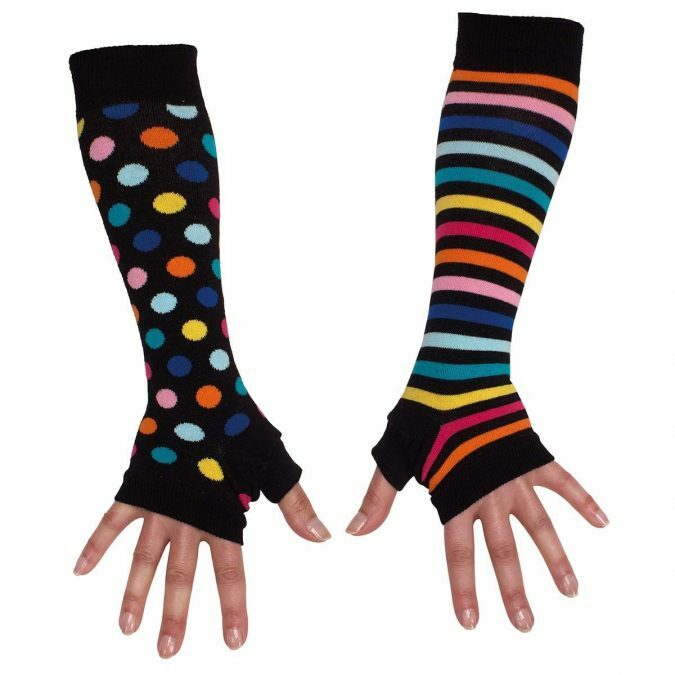 One arm warmer is black with colorful stripes while the other is black with colorful polka dots. 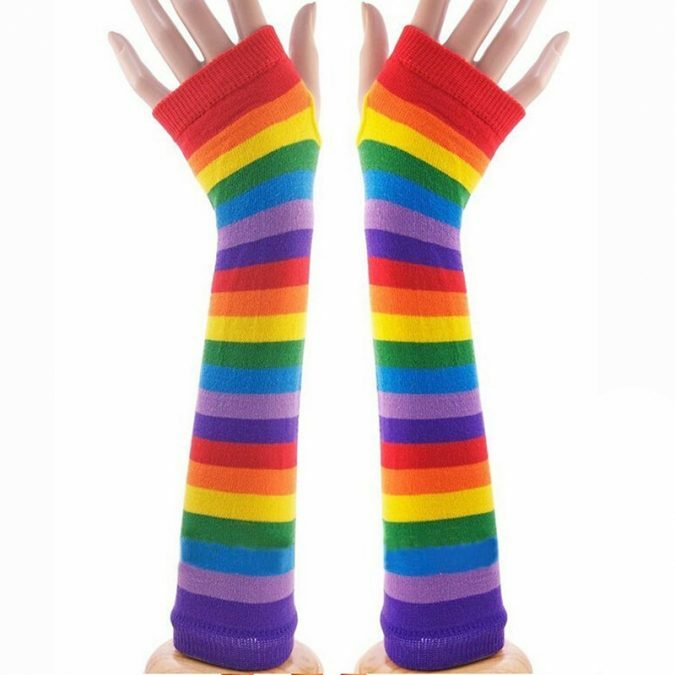 This funky pair keeps your friend’s arm warm, however, exposes their fingers for wild activities such us throwing snowballs! 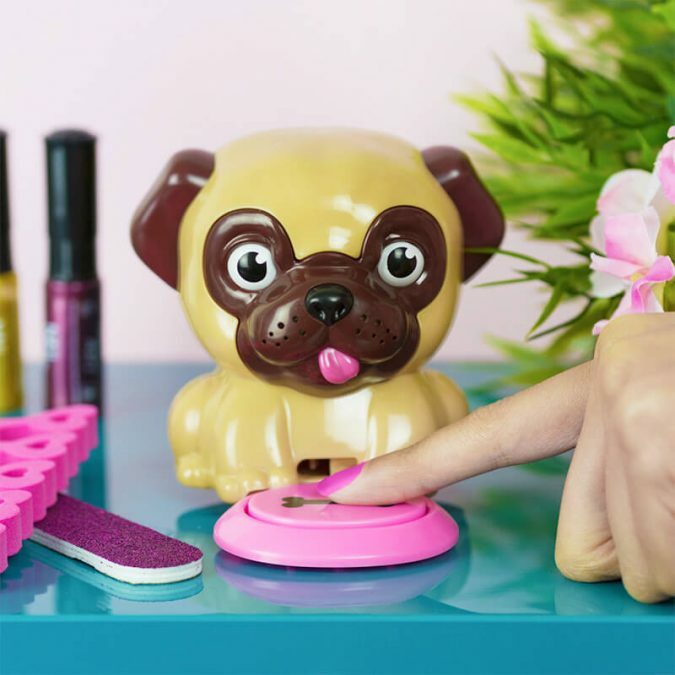 If you were a girl and want to spend a whale of a time with your best friend performing firstly acts and activities, nothing is going to be better than painting each other’s nails. 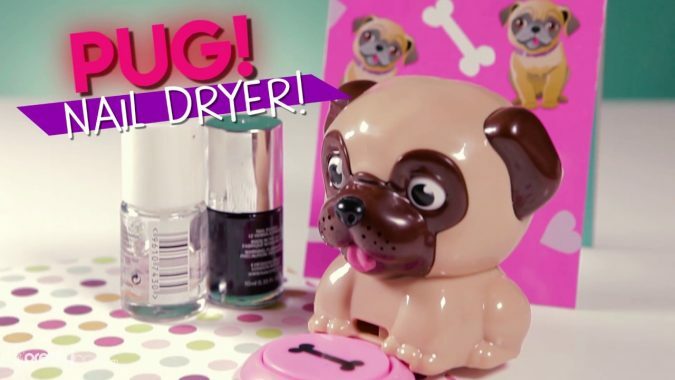 On the other hand, if you were a guy and wanted to grant your girlfriend a gift that she would, no doubt, be thankful for and would conceive of you as boyfriend goals, Pug Nail Dryers are the best choice. Do you know how much time girls wait for their nail polish to dry? They fear using their hand right after painting their nails so they would not smudge the nail polish. In order to use the dryer, press the button of the pug and rest for a few minutes. 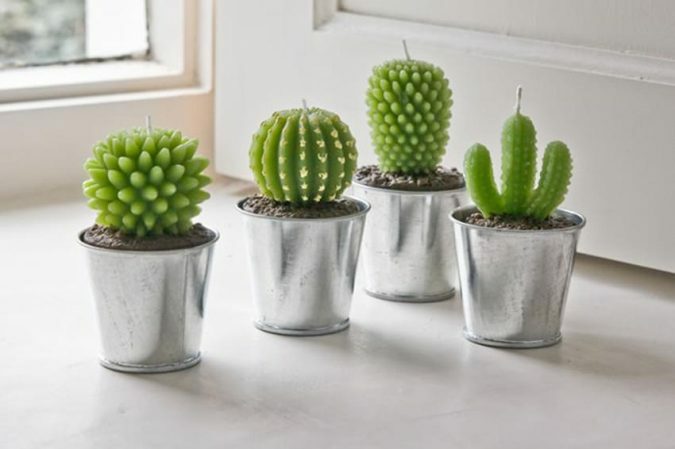 Everyone has got their own favorite flower from sunflowers to lilies, from jasmine to roses, but rarely does anyone pick poor cactus. 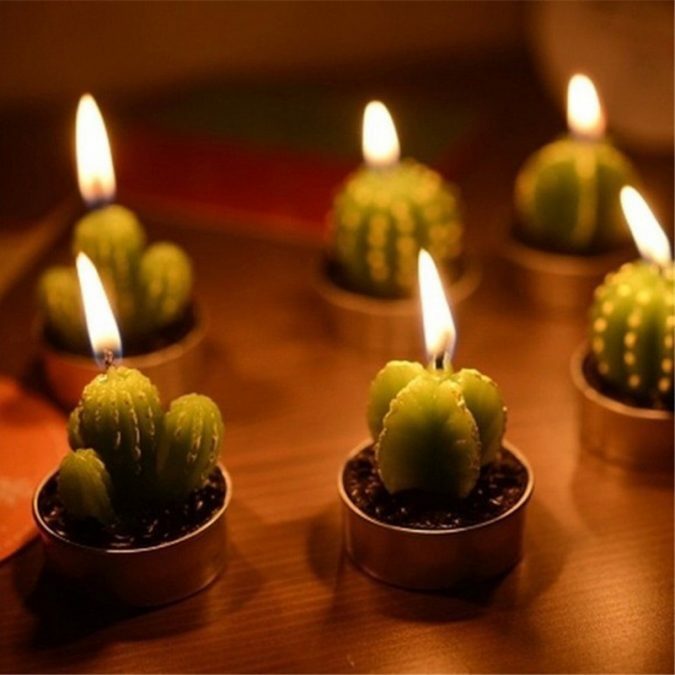 Let’s say that the cactus’s thorny nature block the fans away from the plant. 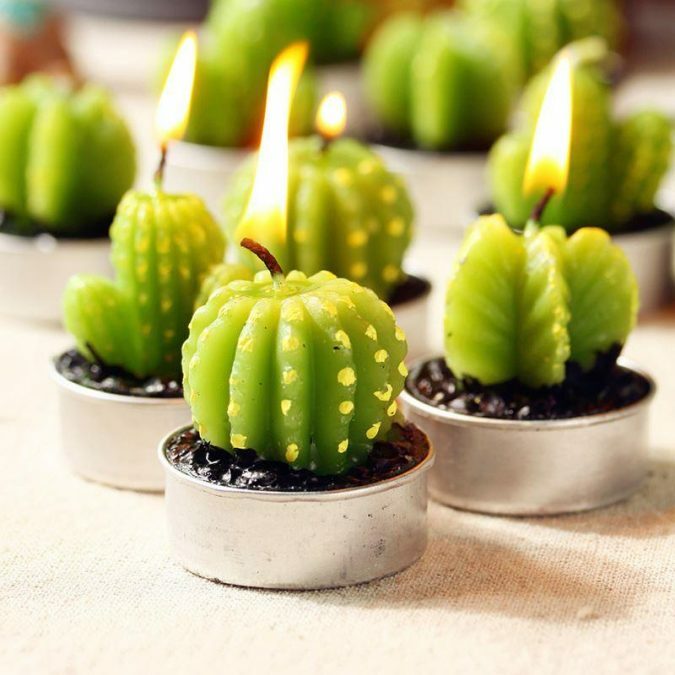 However, if you love cactus and believe they symbolize hard life and how we should hold on tight and stay strong, you will totally love Cactus Candles. Don’t worry they are thrones free and you don’t also have to water them. 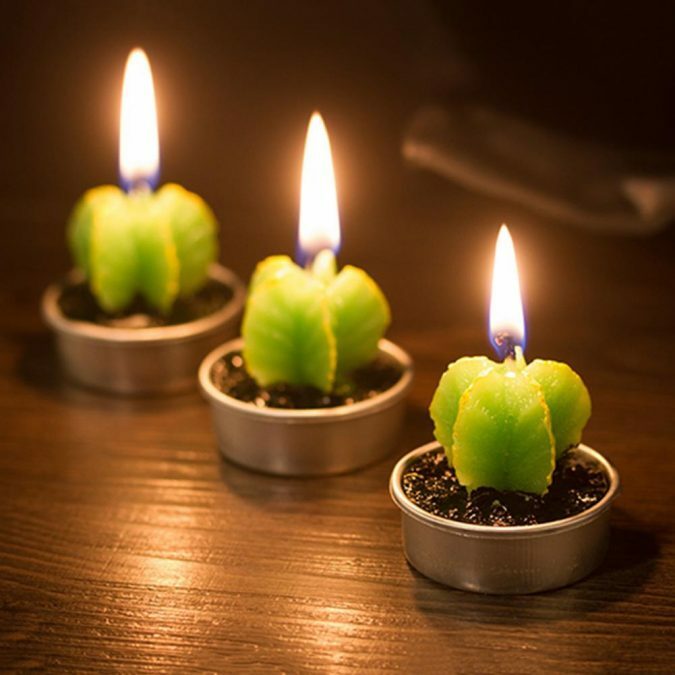 Try these candles; they stay lit up for 10 hours. It is not difficult to find a gift that would be conceived as yellow baby room and clothes; in other words, gender neutral. 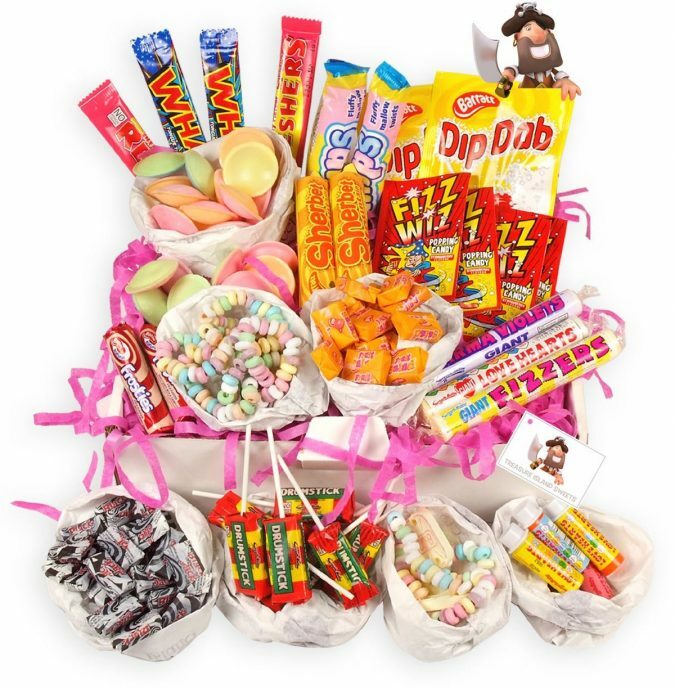 Although we all acknowledge that girls are fond of chocolate and sweets, guys have the full right to express that they can go for candy and cupcakes as well. 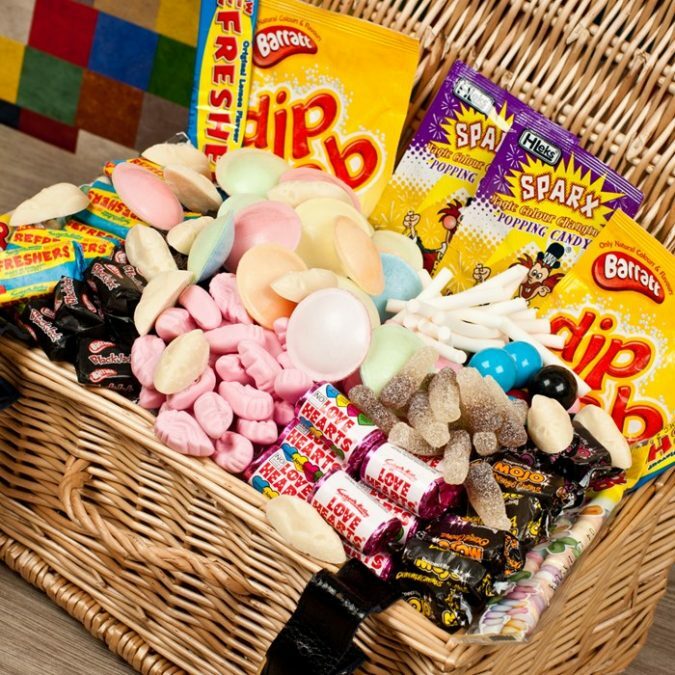 Bring a picnic basket and fill it with dolly mixtures, fried eggs, jelly babies and jelly beans, cola bottles, dumstick lollies and add more of your friends’ and family’s favorite candy. 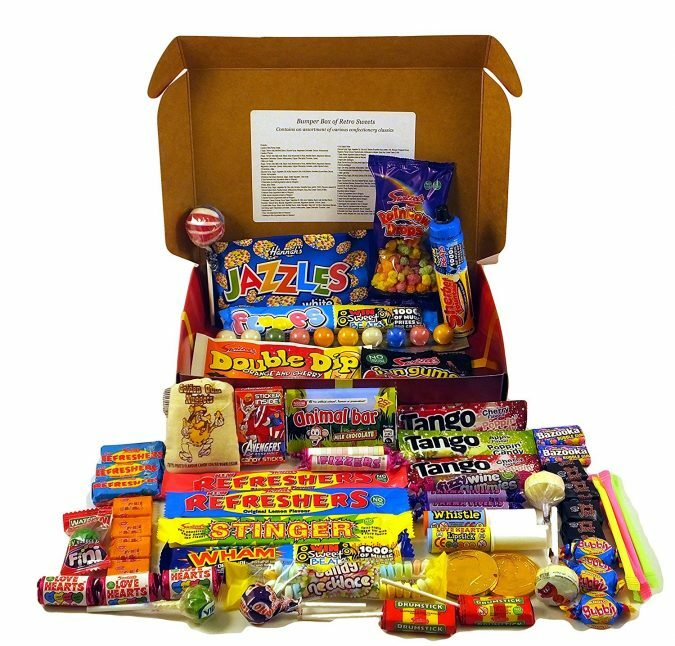 Retro Sweet Hampers are a real bundle of joy. 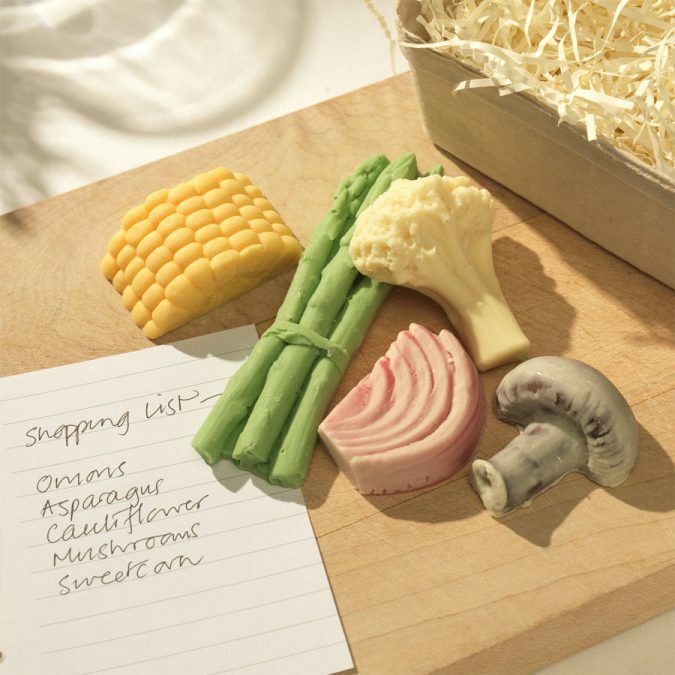 Are you a fan of veggies? 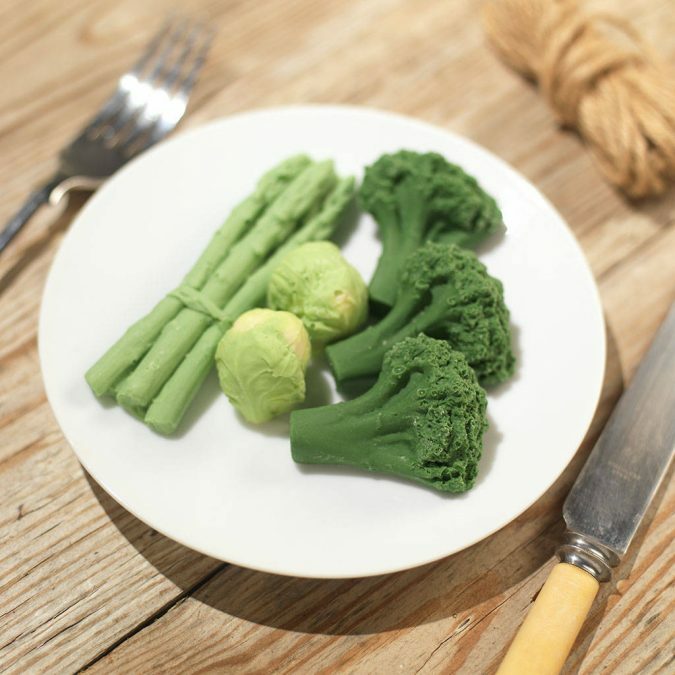 Do you indulge yourself immensely eating carrots and broccoli? Dos chocolate renders you cheesed off? Okay, this gift is just not the right one for you! If your passions list does not include any of the characteristics mentioned above! Buckle up and let’s explore this kind of fake chocolate. This chocolate is handmade from white and dark Belgian chocolate and it is finger-lickin’ good. 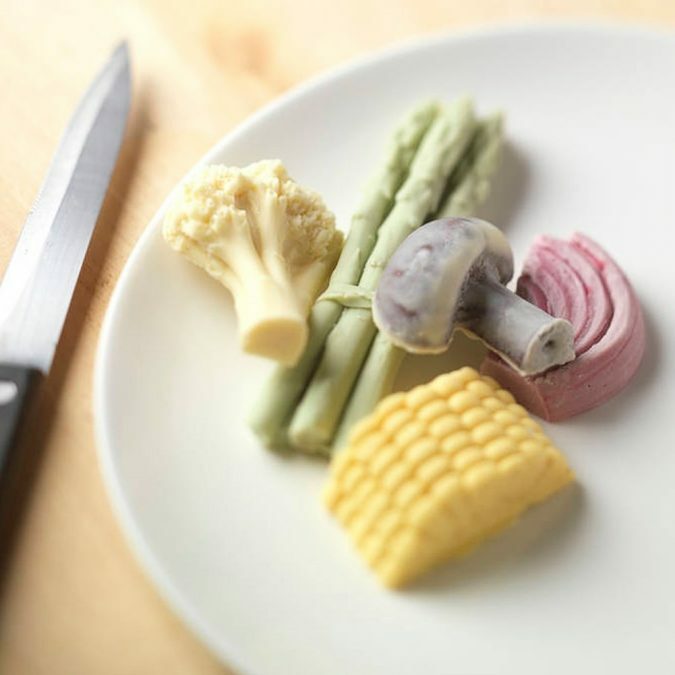 The package includes vegetables: Onion, Mushroom, Asparagus, Cauliflower, Corn on the cob and some of them may contain nuts in addition to milk and soya. 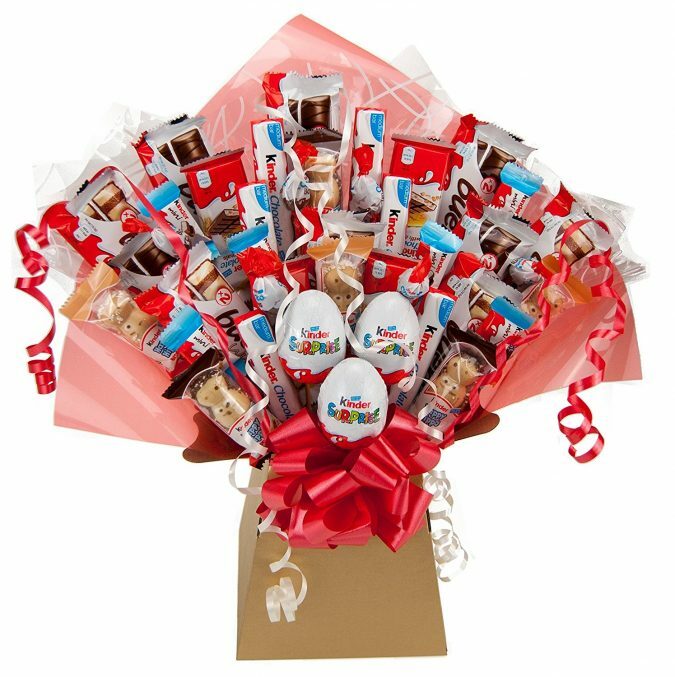 So if all the description mentioned above sounds marvellous to you, get ready and purchase Chocolate Vegetables for your sweet tooth friend. “A blessing in disguise” has never been so real. 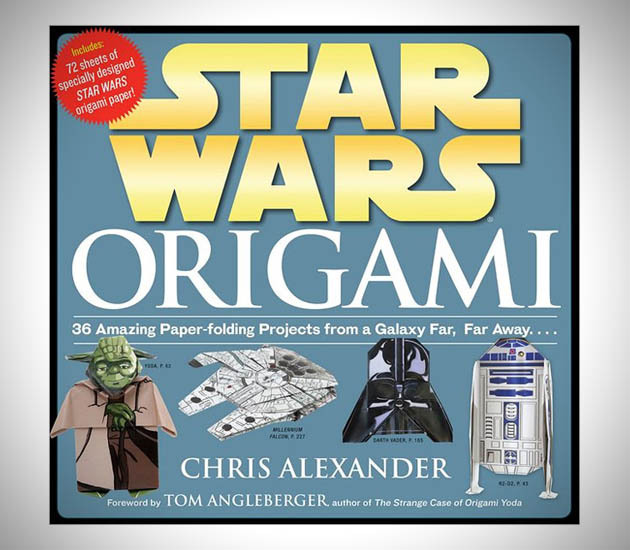 There are no speculations sparked off regarding whom would you grant this gift; it definitely would be addressed to a friend or a family member who is a fan of two things: origami and whatever affiliated with Star Wars. 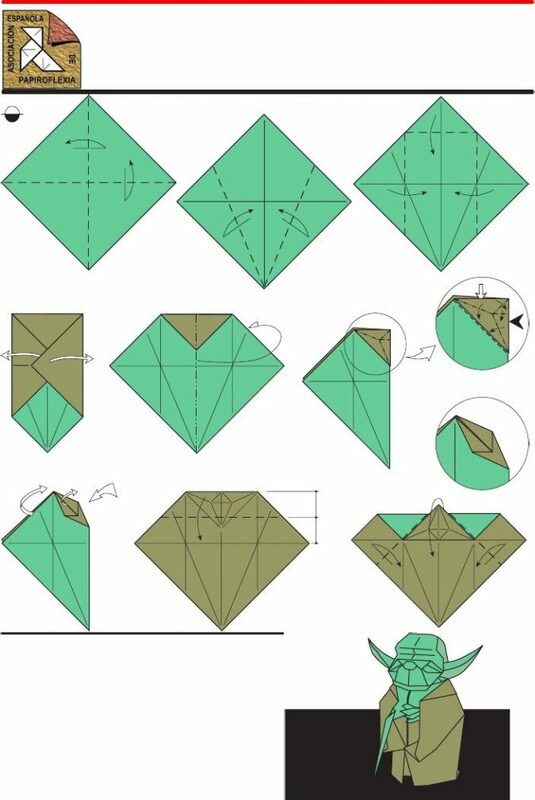 Origami, as a Japanese type of art, aims at relaxation and creativity. 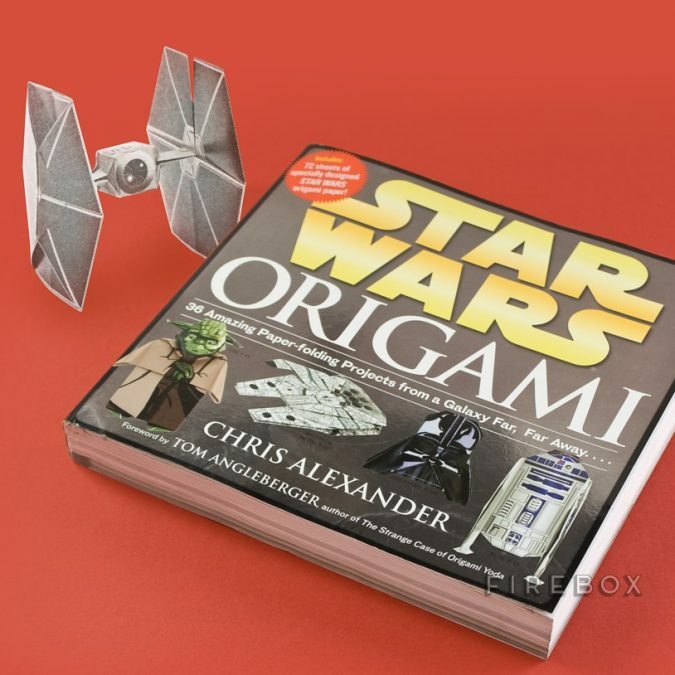 So, Star Wars Origami: 36 Amazing Paper-Folding Project is comprised of origami papers designed to create around 36 Star Wars projects. 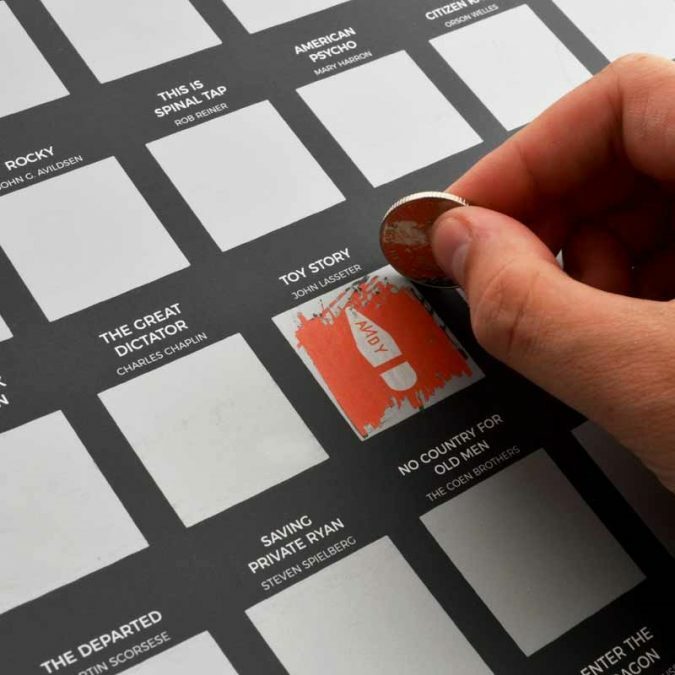 The design of the origami paper is based fully on the movie. You will receive 73 sheets of origami paper attached to the back of your book. Moreover, the book has instructions to help you with your creative designs and shapes. Make sure to design a colorful card with your own weird caption and bizarre doodling. Try to make it personal as much as possible, try to create a way that will recall a flow of remarkable memories you share with the birthday girl/boy. Furthermore, the way with which you present your gift essentially matters. Smiles, cards, polaroid pictures, candles and spontaneous laughs and moves are the elements to have a whale of a time and indulge yourself and your company immensely.